The Sigma 33 is a well known and popular cruiser racer designed by David Thomas as an offshore one design. 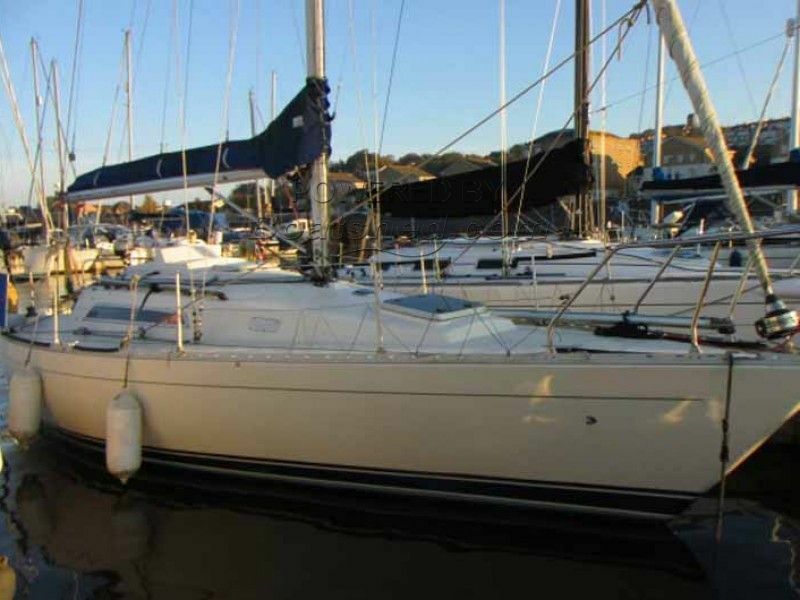 As a cruiser she is stiff and seaworthy with good performance and can give a good account of herself on the racing circuit. The accommodation comprises of a double berth in the forward cabin with the heads to port and a hanging locker opposite. The main cabin has a pilot berth, a settee berth and a quarter berth with an ample sized galley. She also has a separate navigation area. The boat has been upgraded with a Beta engine fitted in 2005 and new furling gear in 2014. The fore hatch has been replaced and a CP300 chart plotter has been installed. The interior woodwork could benefit from some re-varnishing, however she is a capable and easy to handle yacht. This Sigma 33 OOD has been personally photographed and viewed by Keith on 07968 375172 of Boatshed Wales. Click here for contact details.